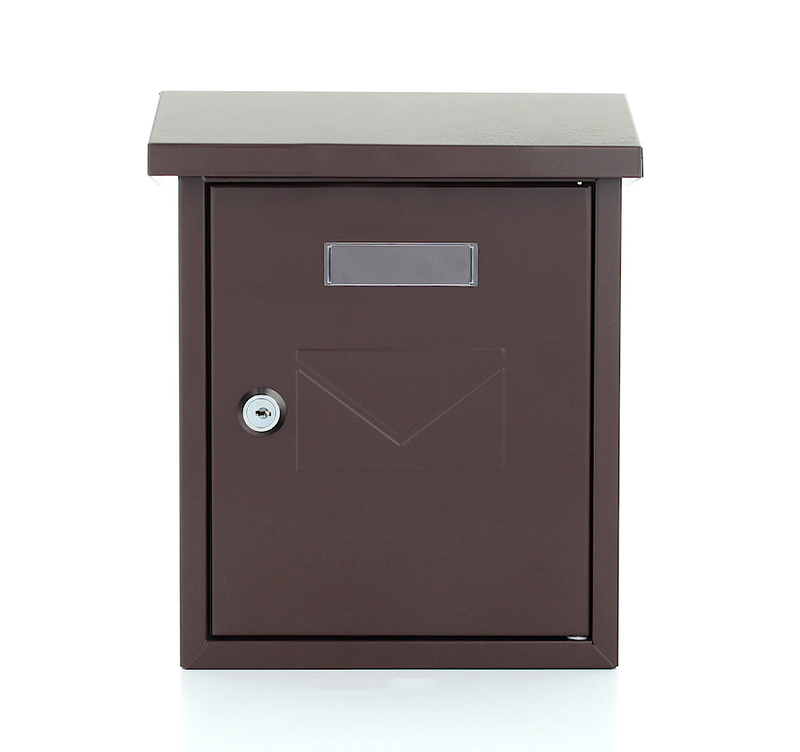 The Brown Pro First 240 letterbox is made from powder-coated sheet steel. The small mailbox with a soft embossed envelope on the front door has a side door and a name tag. The flap with a large protrusion protects your shipments inside the mailbox from moisture and dirt. For easy installation of the letterbox you will find the right fixings included. The Brown Pro First 240 letterbox is made from powder-coated sheet steel and offers a small capacity for your mail. For the perfect installation of this small letterbox you should use the fixings included.